Today we are going to have a look at a new binary options scam called “Trend Trader”. It is presented by Jonathan Miller, CEO of the TrendTrader app. 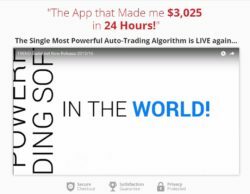 Miller says that Trend Trader is a binary options trading software with a 93% accuracy that is making in average $1,350 to $3,700 per day to each user. It is so successful because it trades patterns based on historical financial data. Miller says that you can get access to TrendTrader for free, because his company will make 30 cents with every profitable trade you make. So according to him you have nothing to lose. Here is how TrendTrader really works. Miller is affiliated with a certain binary options broker and will get paid for every new trader that he can refer to this broker. So he needs you to open a trading account with his broker and deposit money, because it will get him an affiliate commission. This is why he does not care about what his app can do, in fact it will lose your deposit. His only aim is to make you deposit and trade. All the trading account and bank account screenshots you can see in the TrendTrader presentation are fake. Some people got paid to make fake testimonials. You will have to deposit in order to get access to TrendTrader, so you have everything to lose. 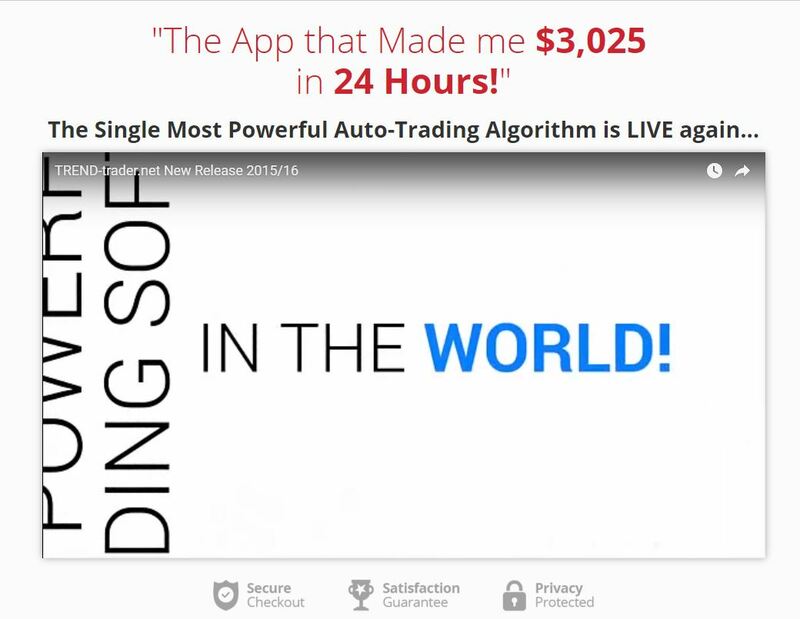 Trend Trader is an ordinary scam that is sponging on binary options. It is here to make people lose money. Don’t get it wrong, you can make money on binary options, but you first have to learn how to trade. You can do it on a free demo account. But forget about these free systems that promise you a lot of money without effort from your part, they are all scams.